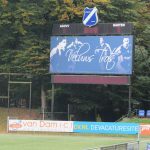 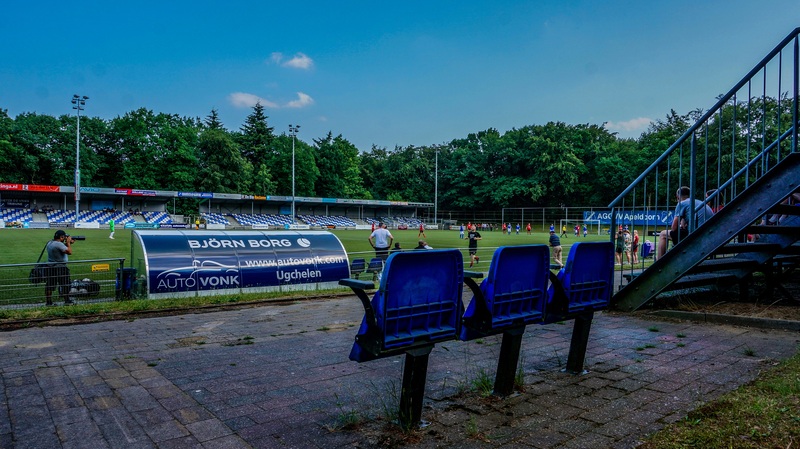 AGOVV Apeldoorn means Alleen Gezamenlijk Oefenen Voert Verder Apeldoorn (Only Practising Together Brings Us Further) and was found in 1913 as a club of teetotallers. 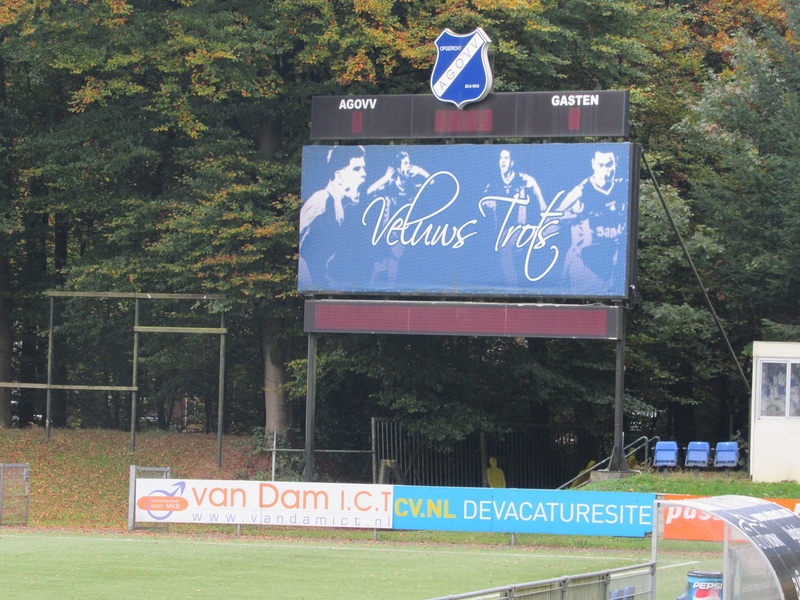 The club played in the Dutch cup final in 1938 and lost against VSV and became a professional football club in 1954. 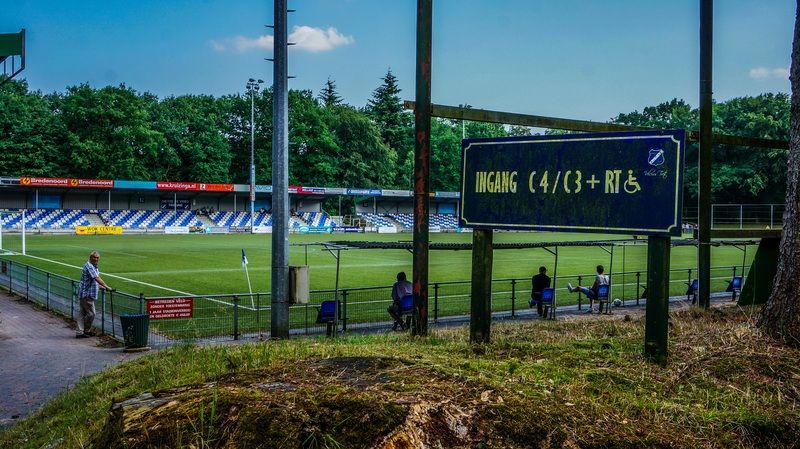 They relegated back to amateur footbal in 1971 due to financial problems. 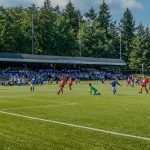 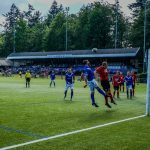 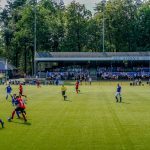 The club returned to professional football in 2003 with the now not-so-unknown striker Klaas-Jan Huntelaar, which has a stand named after him now. 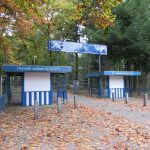 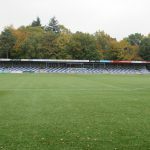 After a few succesful and less succesful years in the 2nd division, the professional section of the club went bankrupt in January 2013, despite having sold Dries Mertens and Nacer Chadli a few years earlier. 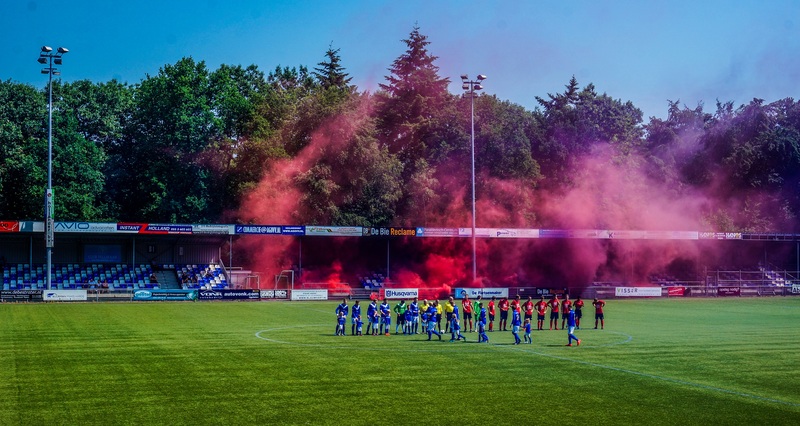 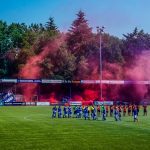 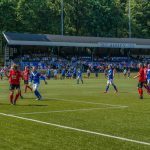 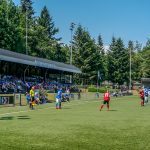 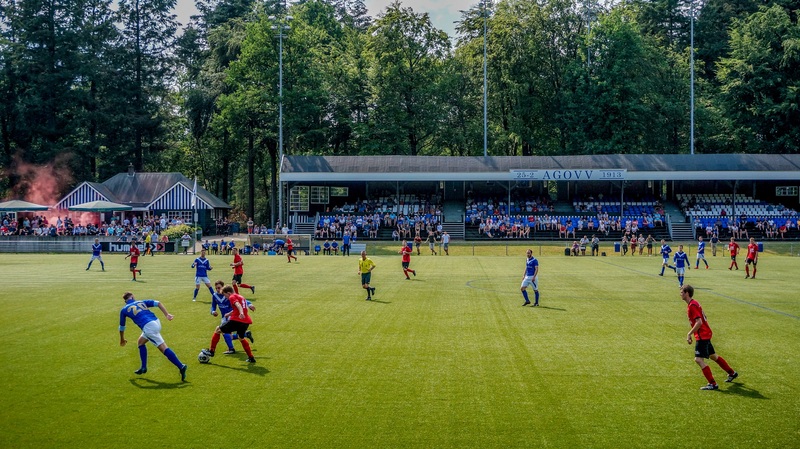 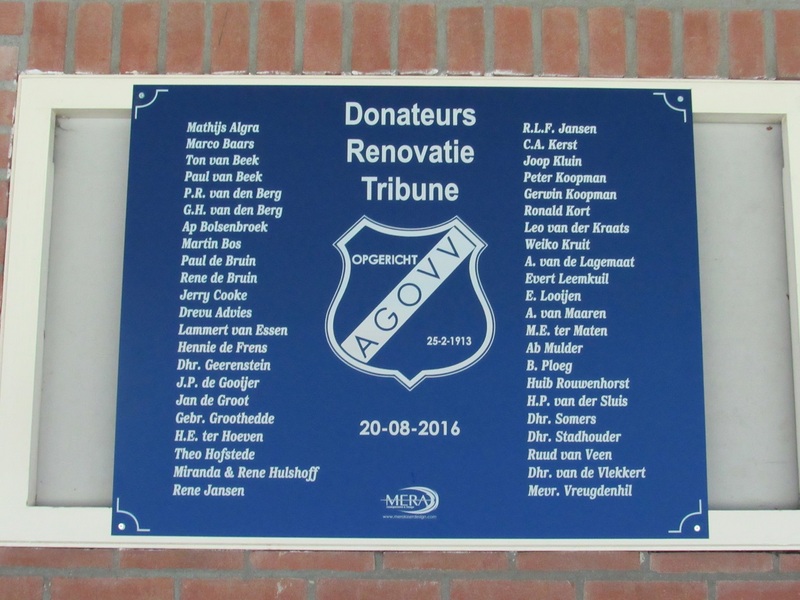 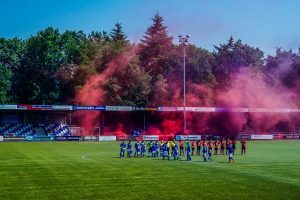 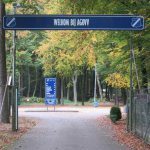 Nowadays AGOVV is an amateur club playing in "De Tweede Klasse" after 2 promotions in 4 years. 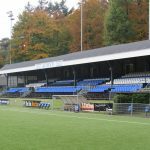 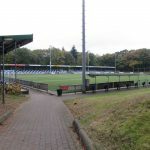 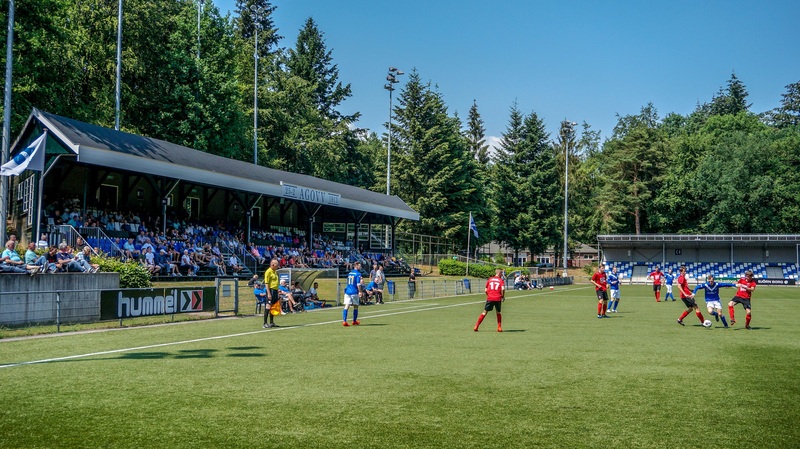 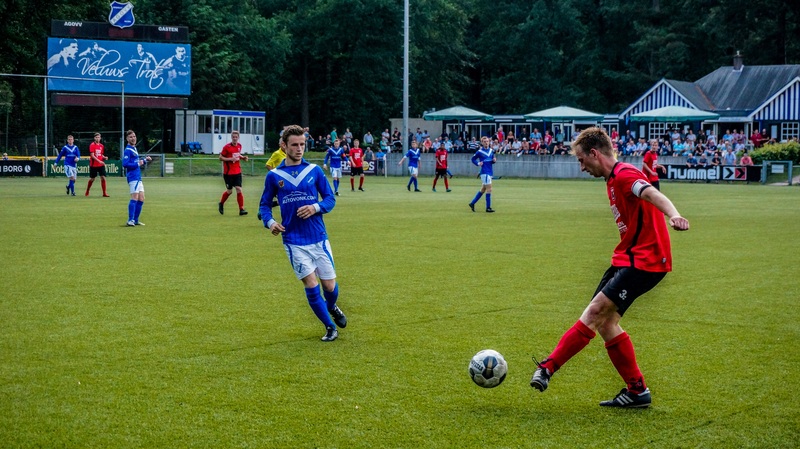 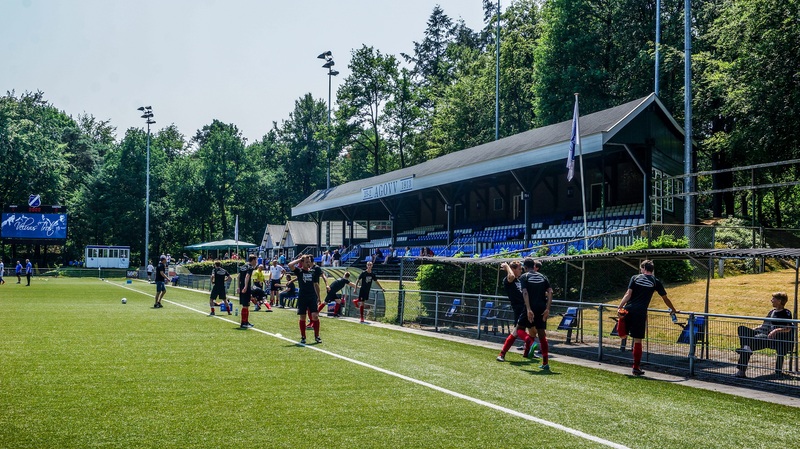 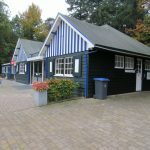 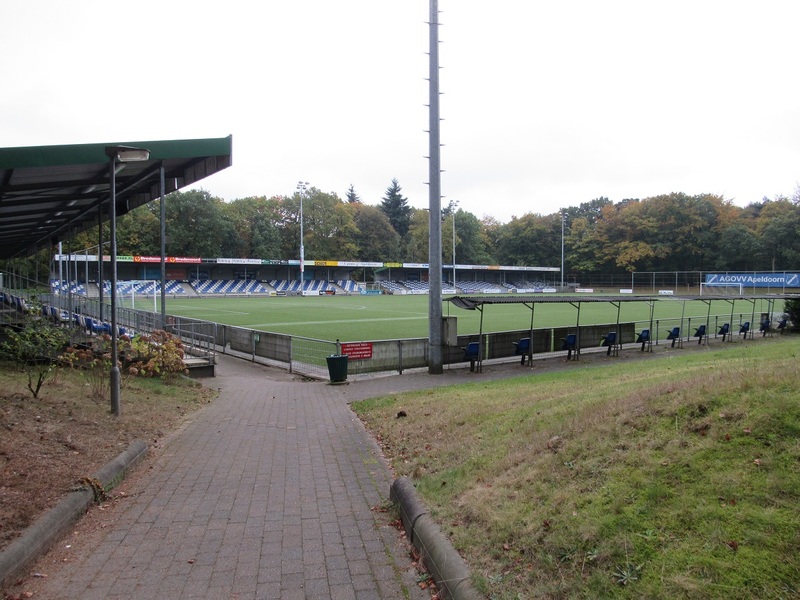 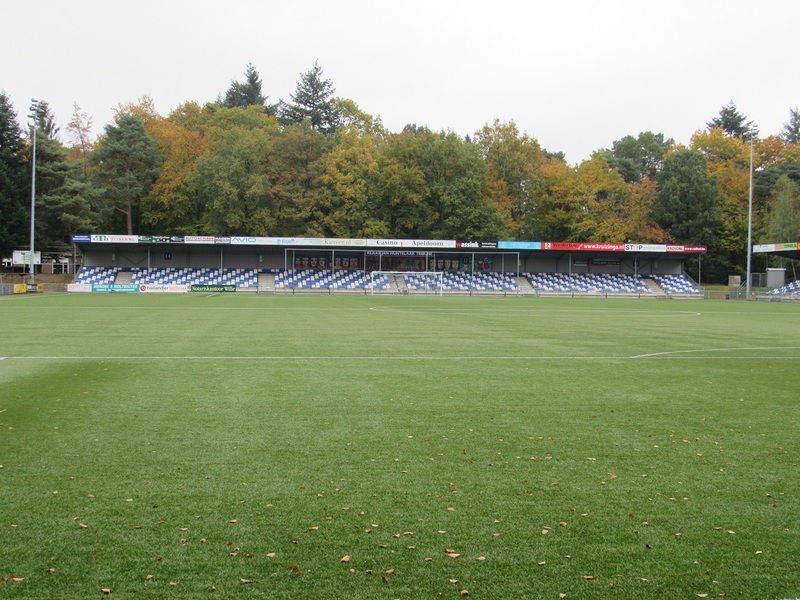 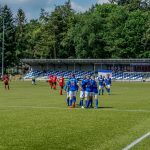 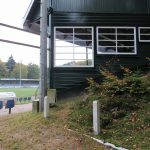 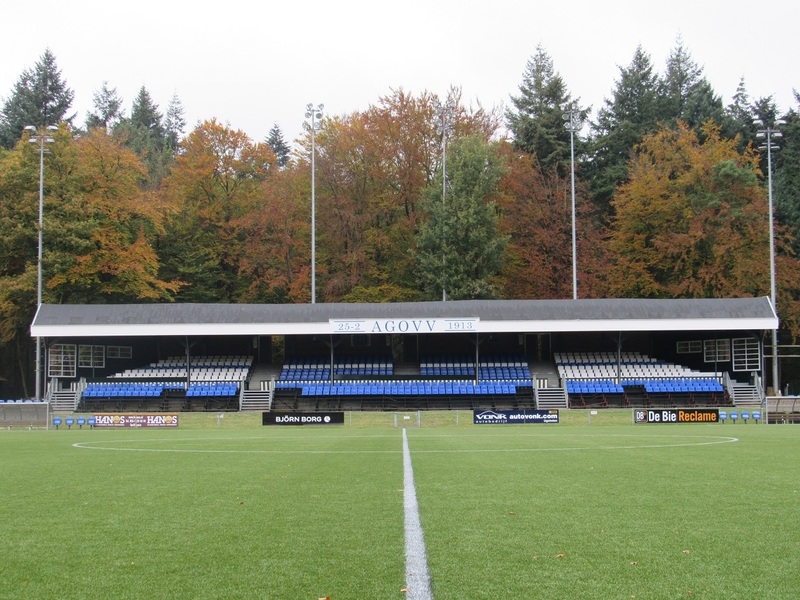 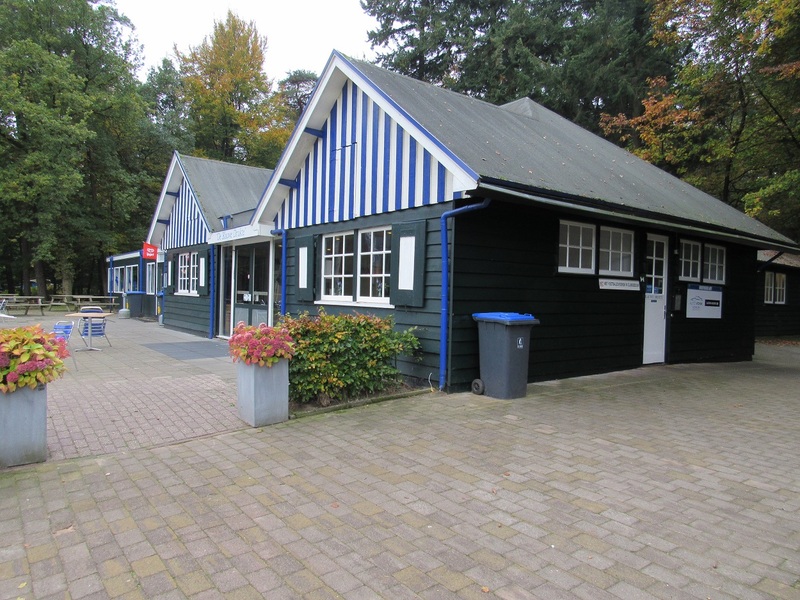 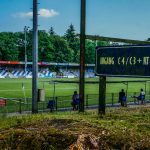 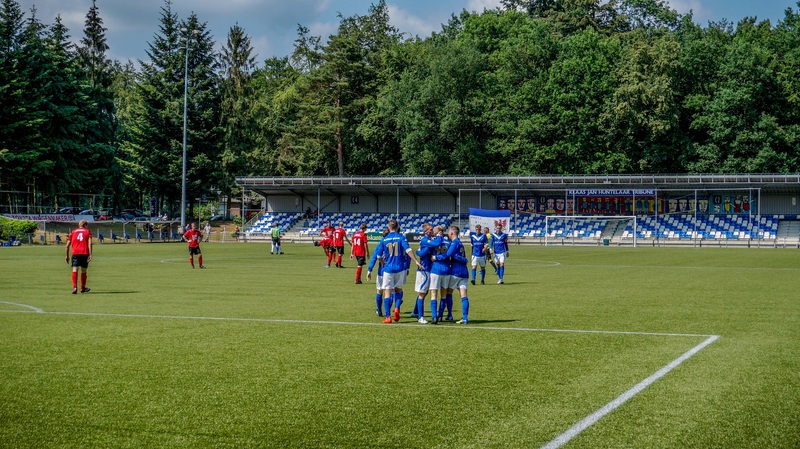 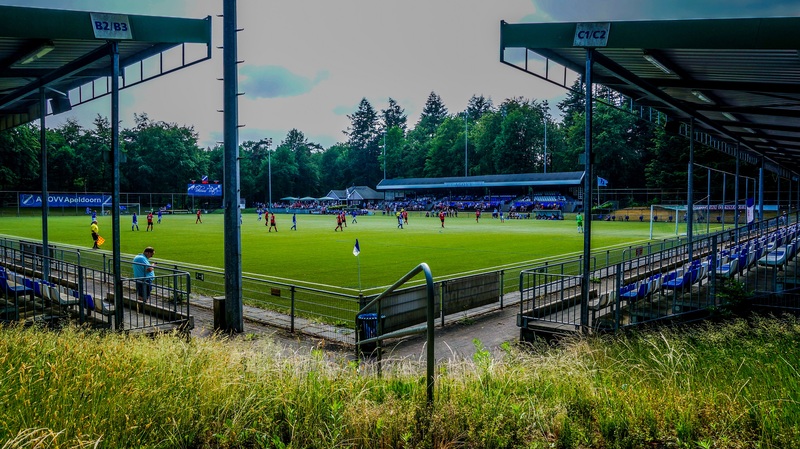 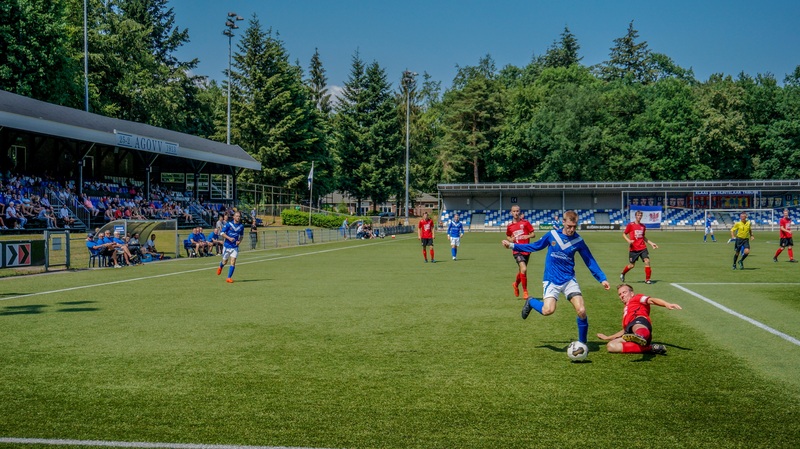 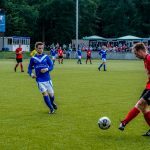 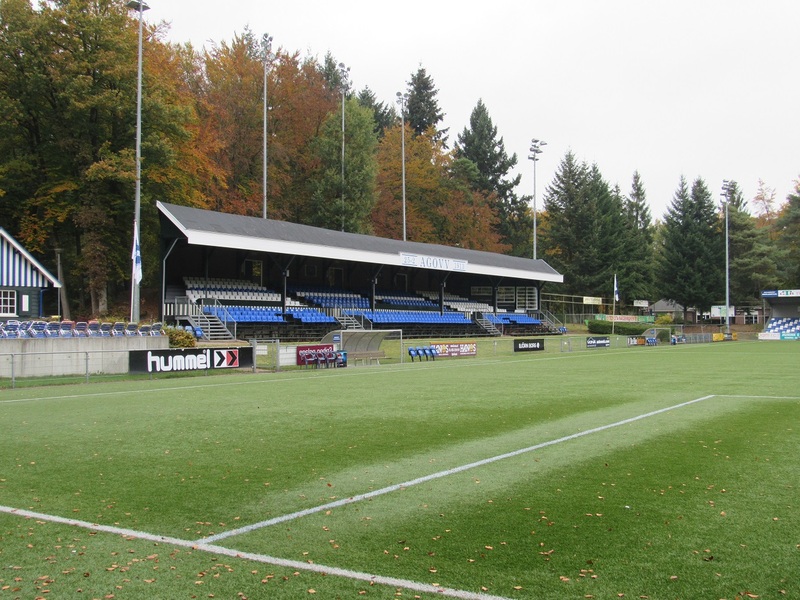 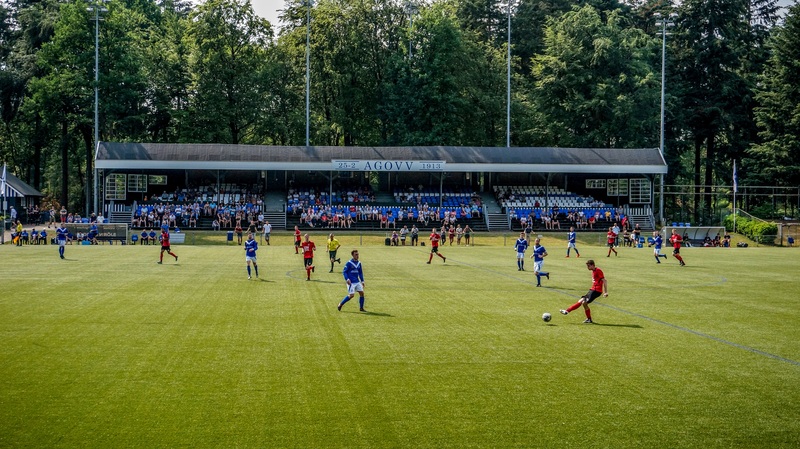 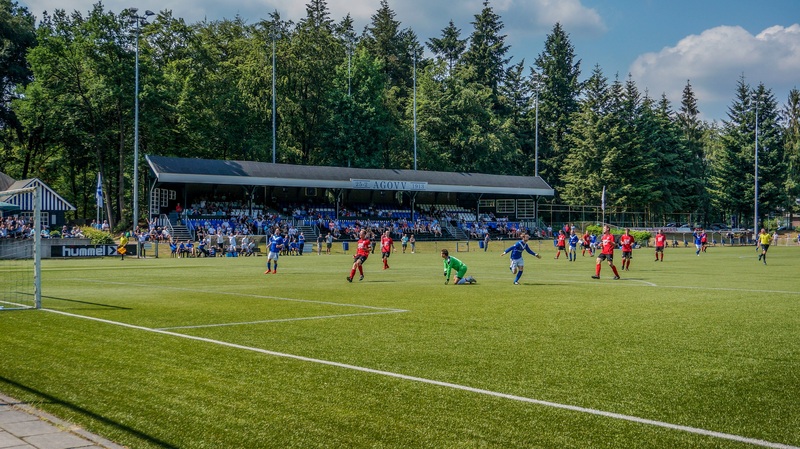 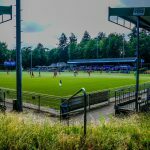 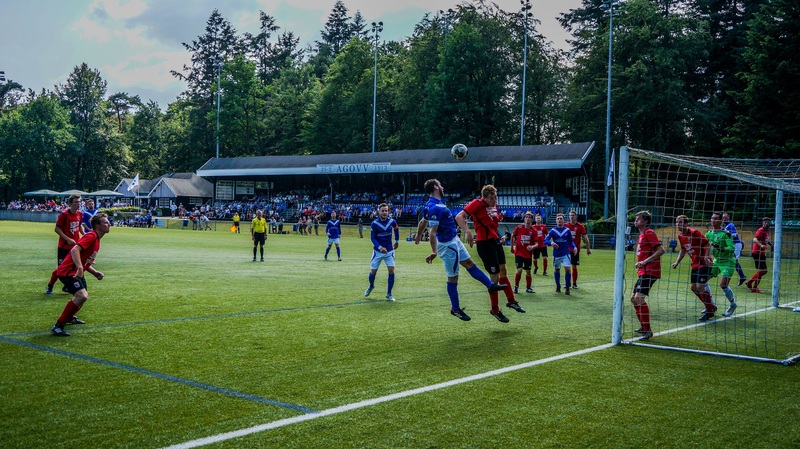 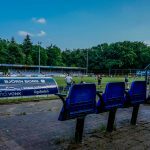 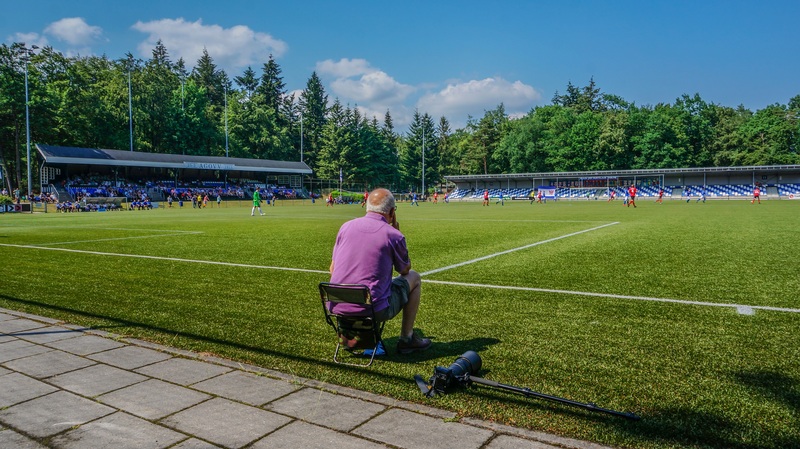 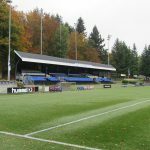 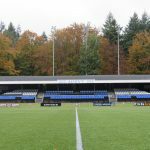 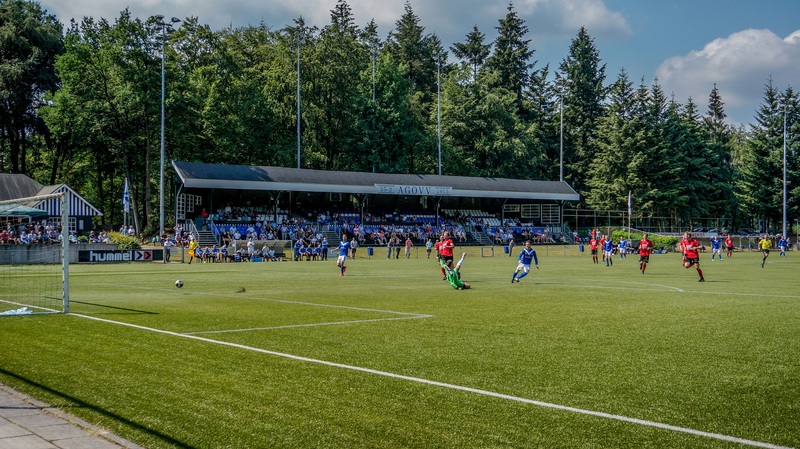 The club plays in the beautiful Sportpark Berg & Bos which has the oldest stand in the province of Gelderland. 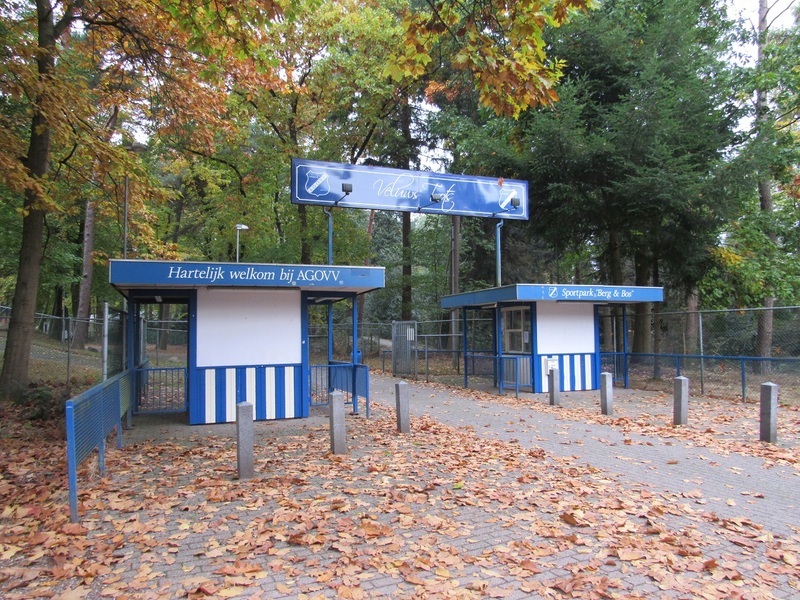 The stand was closed in 2012 after it was about to collapse. 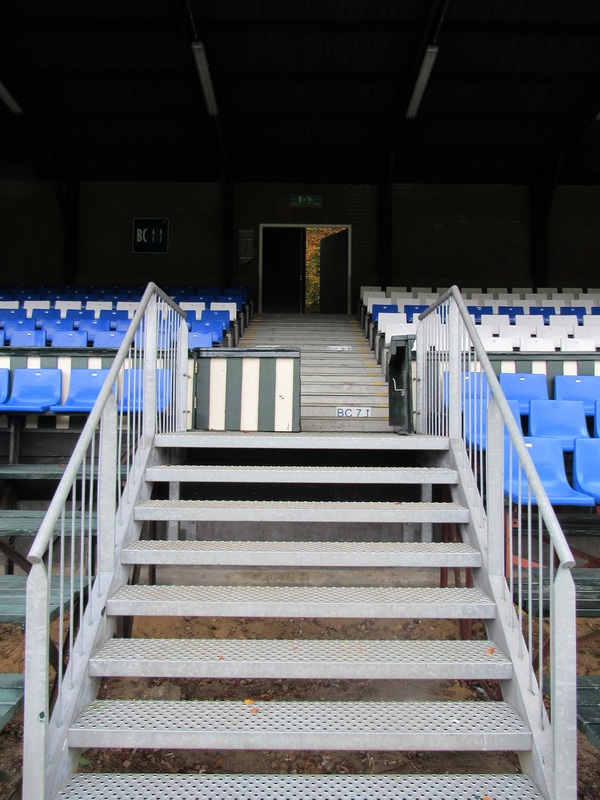 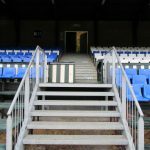 The renovations of the stand started in 2015, with the help of a crowdfunding action, as everybody could buy 1 seat at €100,00. 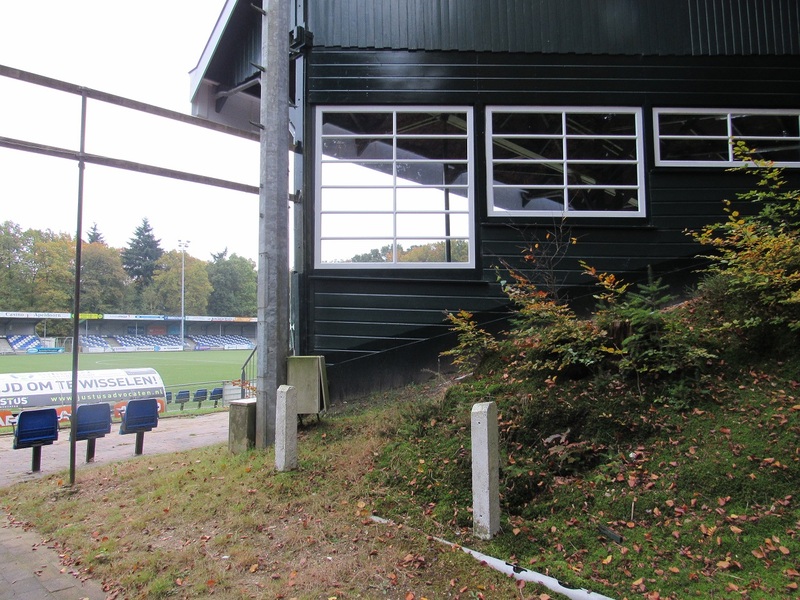 Nowadays the stand is beautifully renovated. 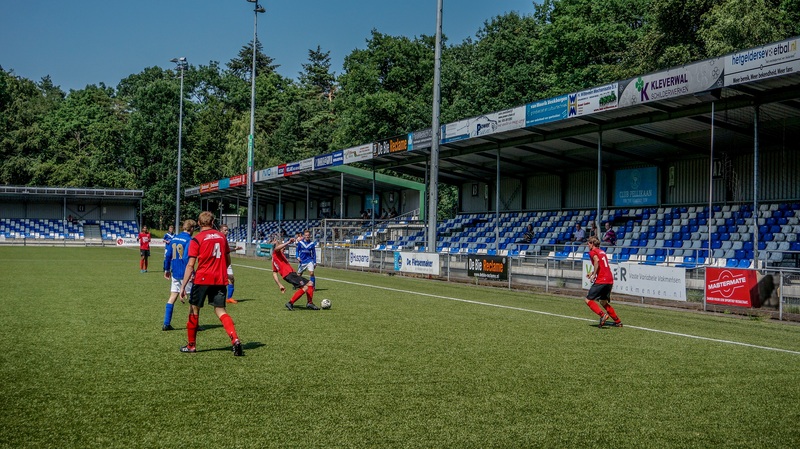 In today's game AGOVV was hosting Terschuurse Boys in a fight against relegation to "De Derde Klasse". 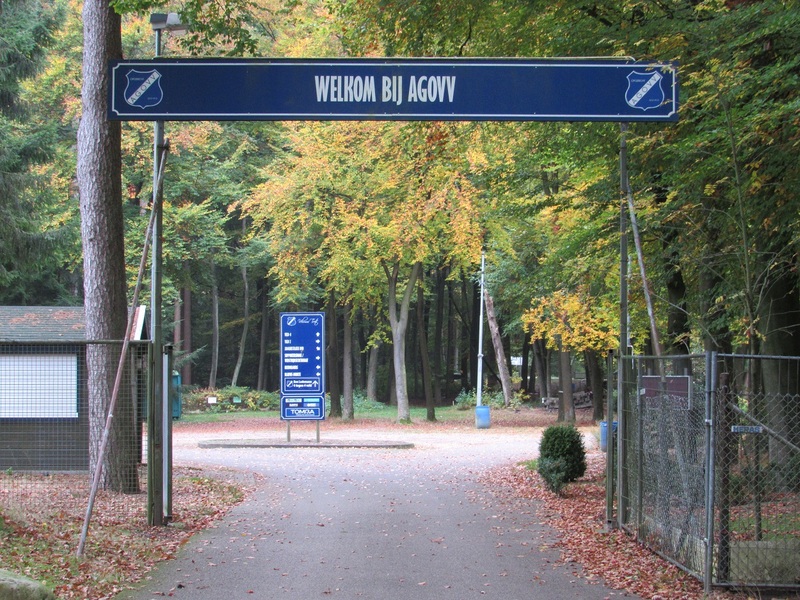 The visitors from today ended 2nd in competition. 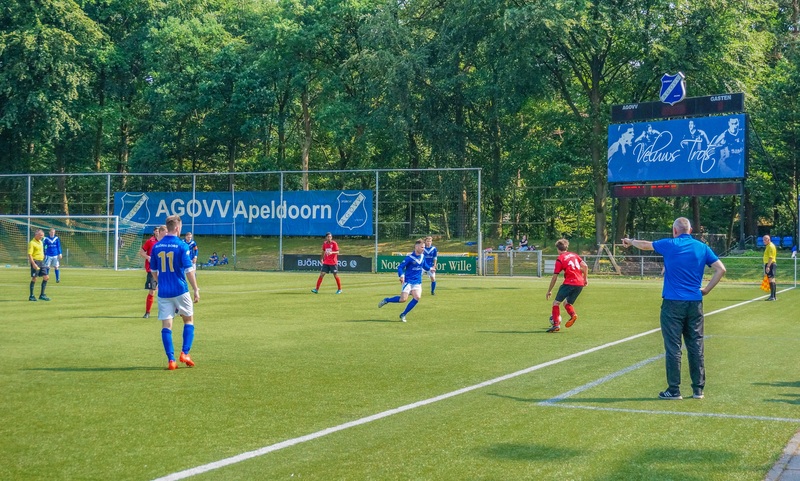 The visitors got the better chances in the first half but couldn't beat the goalkeeper while AGOVV scored on the other side with 1 of their first chances of the game; 1-0. 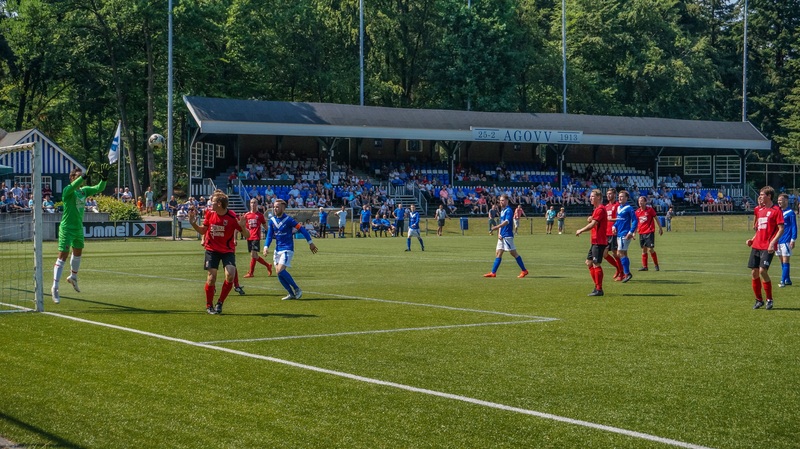 On the hour mark it got 2-0 after a brilliant goal from distance and while Terschuurse Boys still dominated most of the 2nd half, AGOVV made it 3-0 after a good counter. 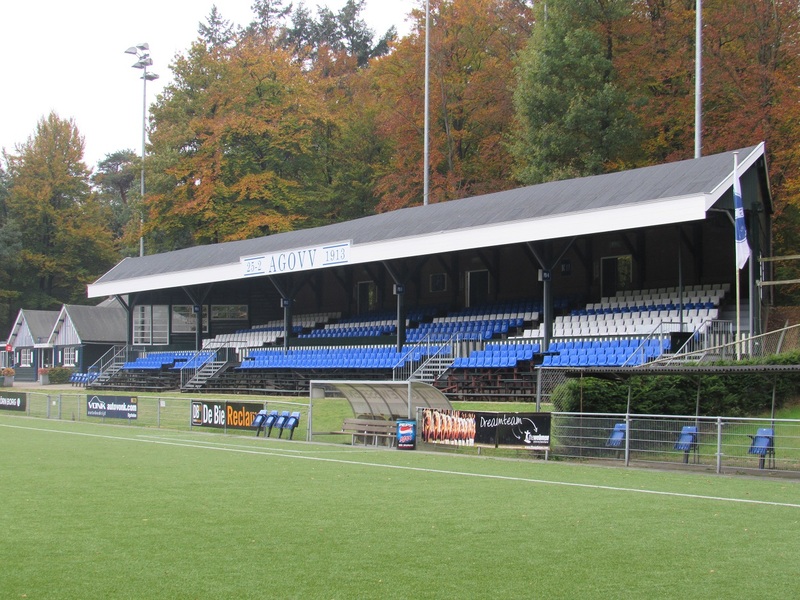 Next week the Apeldoorn club will meet OWIOS in a relegation/promotion final.